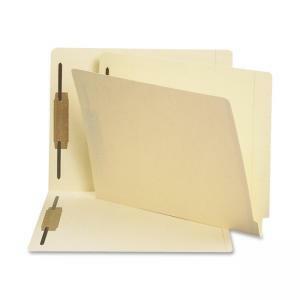 Smead 34215 End Tab Fastener Folder - 8.5" x 11"
Use end-tab fastener folders to subdivide papers inside the folder. 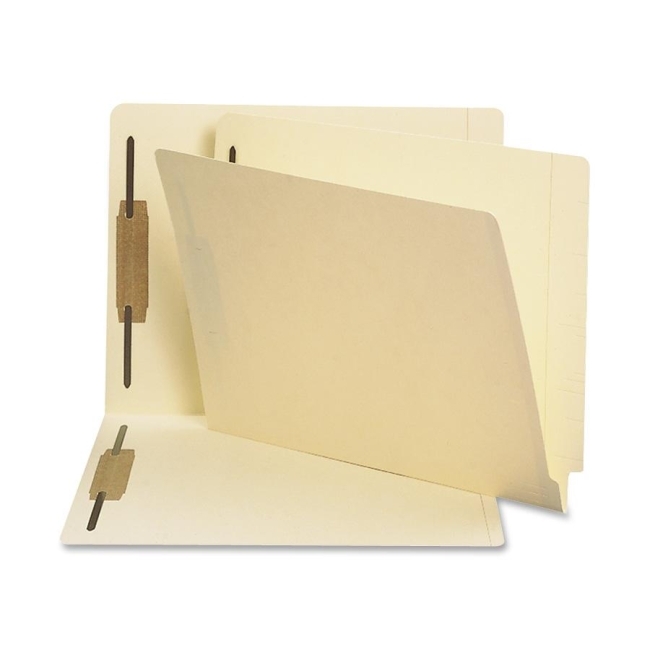 Folders feature straight cut tabs for color-coded indexing and 2" prong B-style fasteners for organizing documents inside the folder. The double thick tab puts extra strength where you need it most. Two-ply tabs are 1/2" wide and embossed for label placement. Folders are scored for 3/4" expansion. Top corners in front and back are rounded.